Permanent aerosol paint in a large 750ml can. The paint is a blend of resins solvents and colour pigment designed to cover with one application. 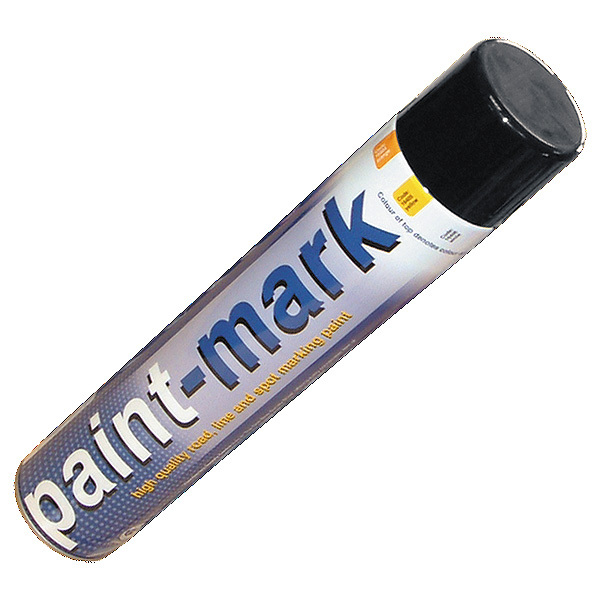 Ideal for either hand spot marking or applicator use for line marking. Surface dry in 20 - 30 minutes totally cured in 24 hours. Deposits a tough flexible coating which is resistant to petrol, greases and most chemicals. It is also unaffected by the extremes of climates and environmental abuse.